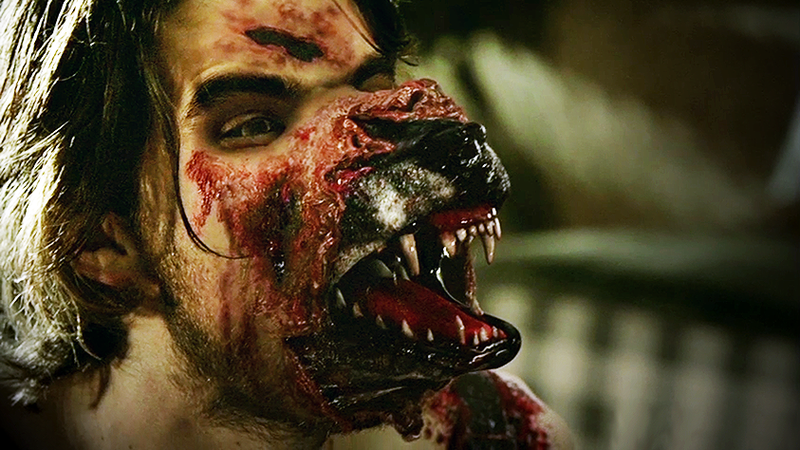 I had heard of Hemlock Grove some time ago, recommended to me for the weird mystery and excellent werewolf transformations. Since then, I’ve had it recommended to me several times over. So I found it particularly interesting that after a quick Google, that the majority of reviews online were incredibly negative, saying that it was a complete waste of time, dull, confusing, with a poor script and even worse acting. Why was there such a difference in how people saw this series? Like any Netflix original series, the show is released with a full season at once. Hemlock Grove first became available to stream on April 19th, 2013, with the second season becoming available in July 2014. A third and final season has been signed off on, though it’s release date is as yet unknown. 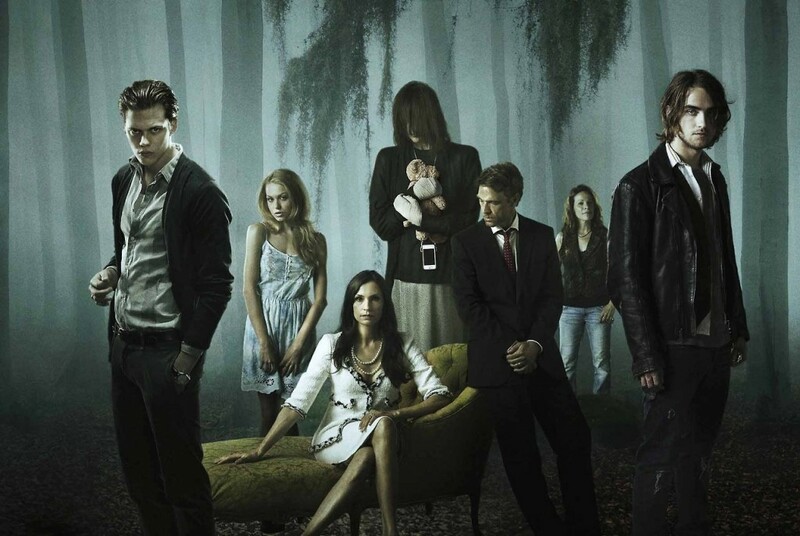 Someone is gruesomely murdering young women in the quiet town of Hemlock Grove. Romani gypsies, Peter Romancek (Landon Liboiron) and his mother (Lili Taylor), move to the town and take up residence in their late uncle’s trailer shortly before the murders begin. A local schoolgirl starts a rumour that Peter is a werewolf. Fear and gossip spreads quickly, making Peter the prime suspect. The town is run by the wealthy but troubled Godfrey family. Roman Godfrey (Bill Skarsgård) befriends Peter, both hoping to get to the bottom of the mystery before more girls are killed. The two have to navigate the prejudices of their families, the town, and their very different personalities to work together and get to the heart of the matter. Meanwhile, Roman’s mother Olivia (Famke Janssen) is sleeping with Roman’s uncle Norman (Dougray Scott) and generally manipulating everyone she comes into contact with. Roman’s Cousin Letha (Penelope Mitchell) has fallen pregnant, something she claims to have happened as a result of a visit from an angel. In the Godfrey Institute, there are strange biotechnological discoveries being made, that could potentially have an enormous impact on the world. When I sat down to watch the first season, in my typical binge watching fashion, I knew nothing about the show other than it featured a supernatural element, specifically werewolves. That was it. I had no preconceptions beyond that, not even about the specific genre. What the Netflix original series does deliver is a convoluted, brooding teen drama. Where reviews I have read lament that it is more soap opera than horror, I didn’t mind it – as I assumed that was what it was trying to do. I never once thought that the series was attempting to be a horror show any more that Buffy ever was – sure, they contain tropes that belong to the horror genre, but neither are really horror, they are something else entirely. While Buffy was more superhero-teen than soap opera, that doesn’t mean that Hemlock Grove completely fails at what it is seemingly trying to accomplish: a soapy teen thriller with a few supernatural elements thrown in. Many of the reviews I found were comparing the series to ‘sophisticated’ shows like Mad Men and The Sopranos, but I think they are confused about what Hemlock Grove is. The shows they should be comparing it to are things like The Vampire Diaries and a teenage version of The X-Files, or perhaps True Blood at a push. If you don’t approach the show expecting some profound and sophisticated adult supernatural drama, there is plenty in Hemlock Grove to recommend it. 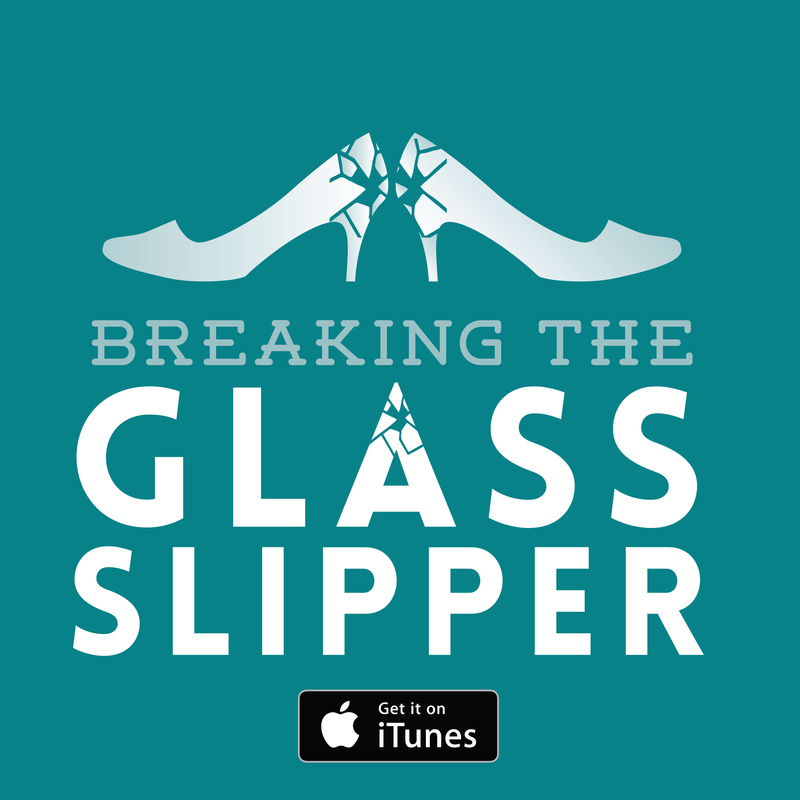 The main mystery – the killer on the loose – isn’t what I found most intriguing, I guessed the culprit from the first episode. But as you get to know the characters and are pulled ever deeper into the sick world of the Godfrey family, you have to wonder what evil made them the way that they are. At times, it is frustrating that there aren’t more answers, especially when things are made more cryptic than they need to be. It is also true that the script often contains some shockingly appalling lines that the actors deliver well despite the clunky-ness of the writing. What I found to be the most disappointing aspect of the first series was the lack of development around Shelley Godfrey, Roman’s Frankenstein monster-like sister. To me, she provided the most interesting mystery of all. Both leading men, Liboiron and Skarsgård, are what make the show work. In Roman, there’s the potential for much darkness coupled with his spoilt rich brat attitude and a surprising warmth and care when it comes to his sister and cousin. The lightness often comes from Peter, the good-natured Romani werewolf. These two men, so different from one another, somehow manage to work incredibly well together. Where the show lacks the grand mystery it plays on to give the season structure, it makes up for with generally intriguing characters, all of whom have something to hide and something to offer as sympathetic characters. There is a lot of drama and some of it is certainly hammy, but overall it is a fun distraction from real life. If you are a fan of the supernatural and have no issue with a bit of heavy-handed teen drama, this is certainly a series to consider. The ‘magic’ lore behind its creatures is more interesting than many shows and thankfully completely ignores the pesky ‘vampires can’t go out in the light’ (or in Twilight’s case, oooh, a sparkly!) issue that brings many of these shows down. 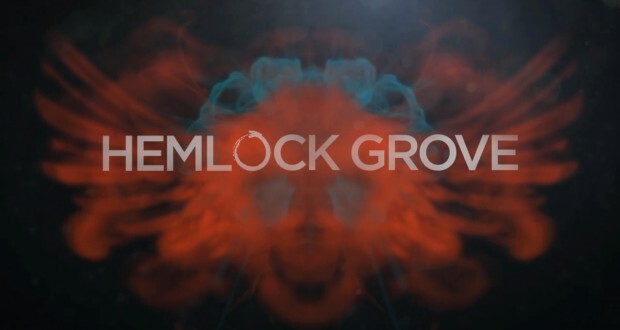 Next time you’re looking for a series to binge out on, why not look up Hemlock Grove on Netflix. Such a good show! Its main strength comes from the big lesson Twin Peaks left: don’t be in a rush to explain anything. There’s compelling tension between sinister atmospherics & pulpy horror gore; trashy, sweary dialogue (“Sheeit”) & a ruthless disposal of significant characters; teen drama angst & startling poetic imagery (Letha’s last appearance, the old mill, Shelley in general) – and the show isn’t in any hurry to resolve it all for you with tidy explanations. The death toll of the first season’s finale almost left me needing a lie down! The second season loses some of the magic, seeming cheaper and more soap opera-like (similar to the cliff Twin Peaks’ second season fell off). Compared it to the first season’s most cinematic moments (the attack on the sheriff’s home, the gala, Christina’s first date) you have to wonder whether the critical response stymied their budget, but going into the third season knowing it’s their last, fingers crossed they can pull out a finale suitably ludicrous, intense and grotesque!